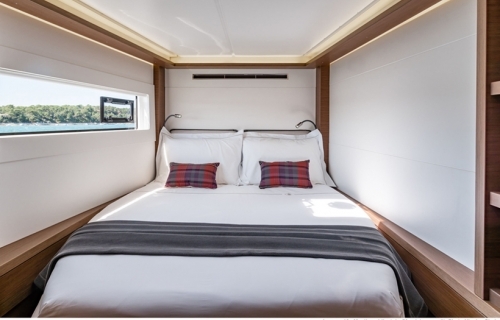 Island wings has been appointed with 4 double cabins and a single berth (port forward) to accommodate a maximum of nine berths. 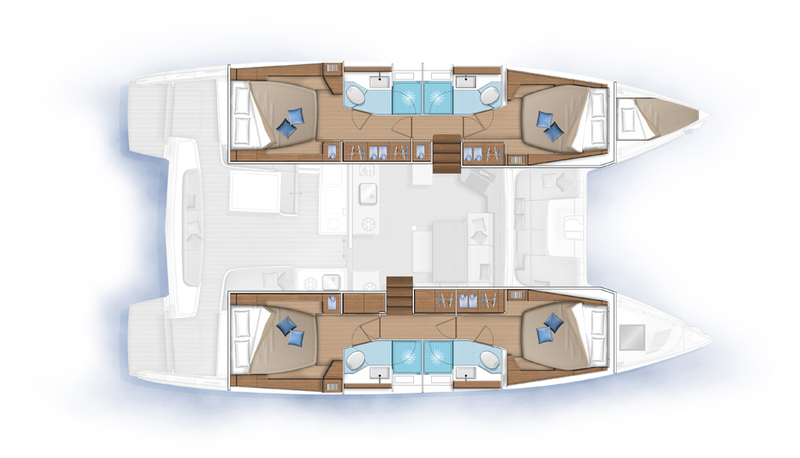 All double cabins are air conditioned along with the salon. 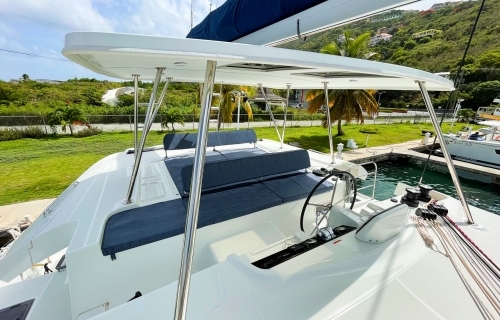 Snap up a booking on Island wings quick! 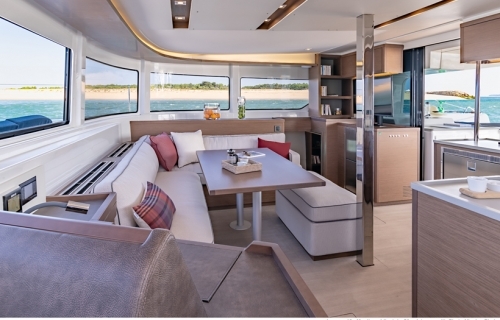 We are sure she is going to be a popular yacht within our fleet. 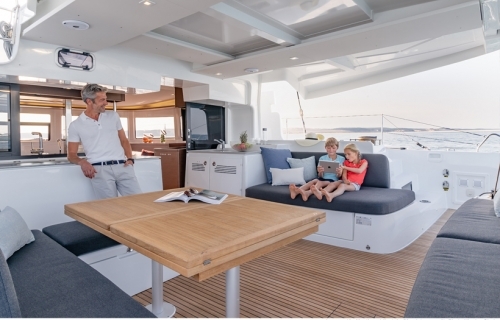 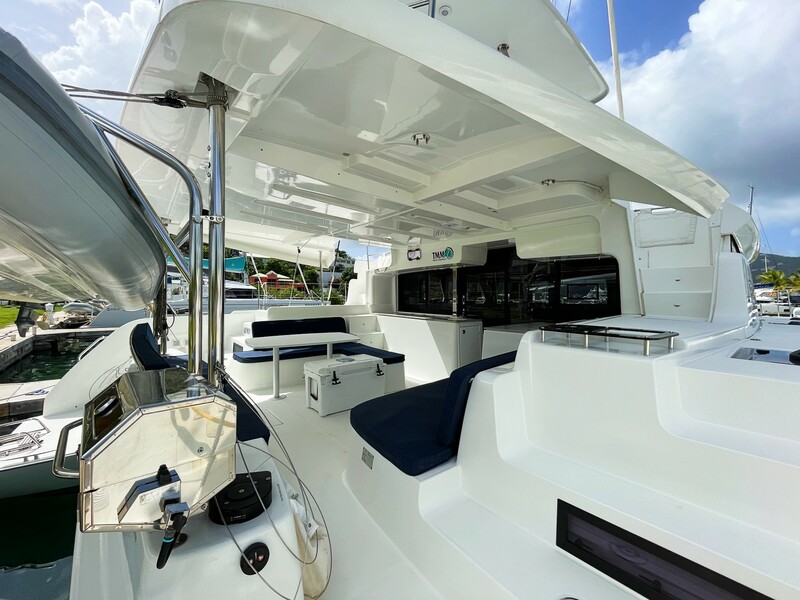 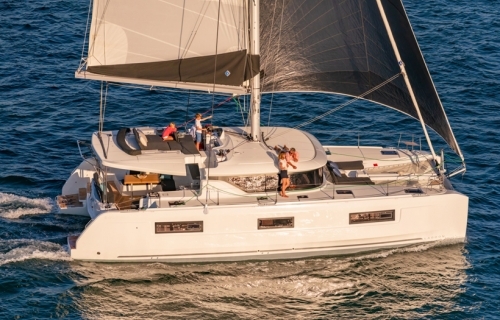 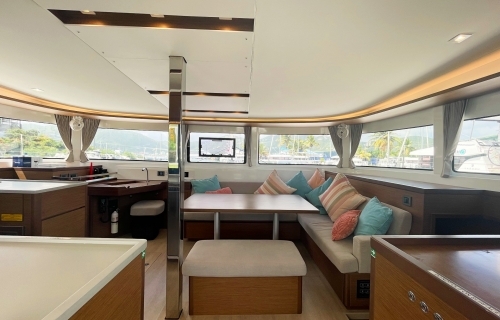 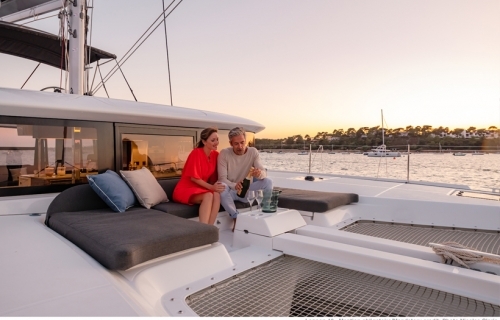 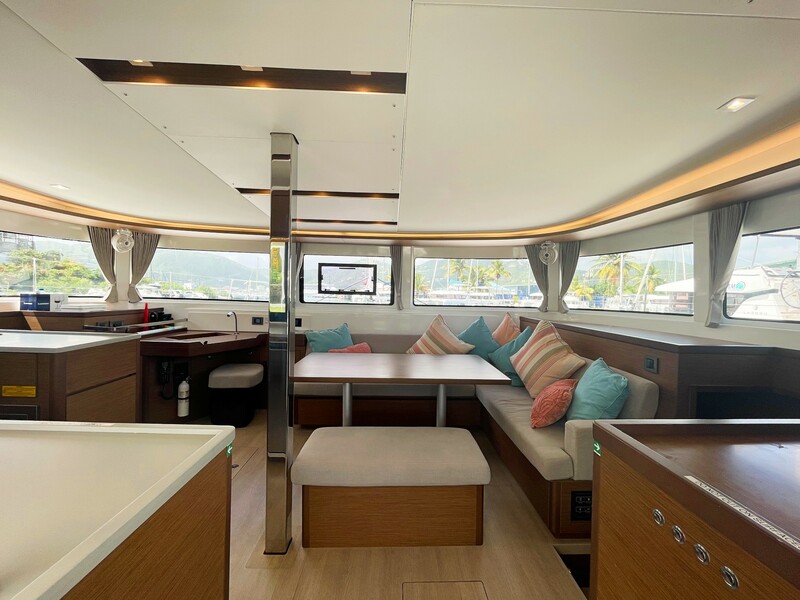 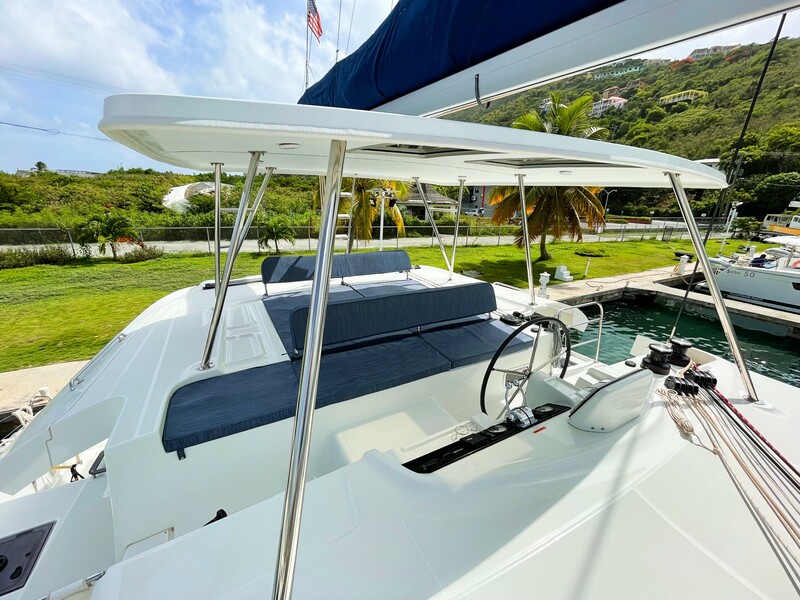 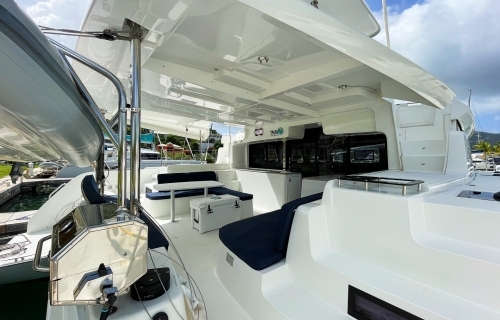 2500w Inverter, 13.5Kw Generator, Air Conditioning, Davits, Solar Panels, Windlass Remote at helm, All electric flybridge winches, Electric dinghy hoist, Cockpit Refrigerator (21 US Gallons), Galley Refrigerator (58 US Gallons), Freezer (17 US Gallons), Microwave and Hardtop Bimini.